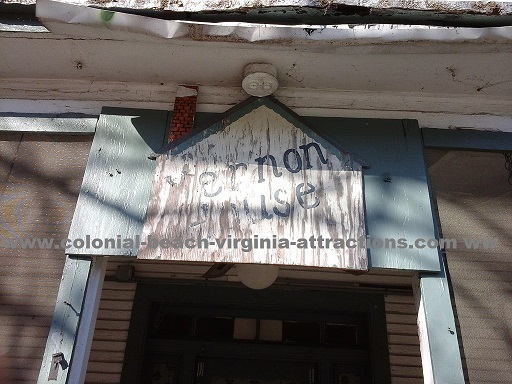 The Vernon House sits right next to Nancy's Ice Cream in town. It was formerly a boarding house with about ten rooms on two floors. The square footage is about 2,600SF. Pictured above is a faded, weather beaten sign shot in 2015 showing the name of the hotel. The sign is currently hung in the main hallway. The age of the sign is not known, but the age of the building is. Flames, started by the explosion of an oil lamp last night almost totally destroyed Vernon House - of which Mr.s Ella Crouch, of Washington is proprietress, causing a damage estimated at several thousand dollars. Robert Marmion of Washington was overcome by smoke while engaged in rescue work and several other persons had narrow escapes. The fire was a troublesome one, and the fire department had difficulty in restraining it from adjoining buildings. Confined to the Vernon House, one of the largest on the Beach, fire destroyed practically all the property in the home. Mrs. Crouch and her son, Joseph Crouch lost all they possessed, including $50 in money. Miss Regina Georges of Washington lost all of her jewelry including several handsome rings, bracelets and pins. This fire took place during the busy summer tourist season, unfortunately. A June, 1913 newspaper advertisement in The Sunday Star proclaims that it "has been remodeled and will open for the season June 28, for the accommodation of guests." The establishment received a rating of "Silver" as shown on page 165 of the Virginia Department of Health's Biennial Report (1918) after it was inspected and listed in the 1916-1917 Report of State Commissioner of Health. The inspection fee charged was $5.00. The Rollins House and the Wolcott received a similar rating. The New Atlantic managed to score a rating of "Gilt." These days it is known as The Riverside House. Kay Marlin was able to rejuvenate the property and utilized a Revitalization Facade Grant to get the front of the building looking nice and spiffy. 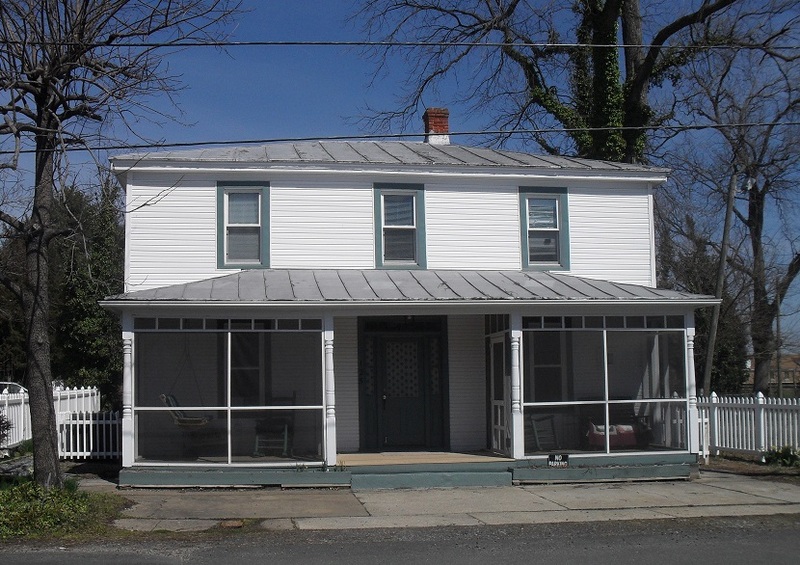 Currently zoned mixed use, there are owner's quarters on the main floor and a shared laundry. In addition, there are two office suites towards the front of the building on the first floor, one of which is home to RMS Design as of January 2018. 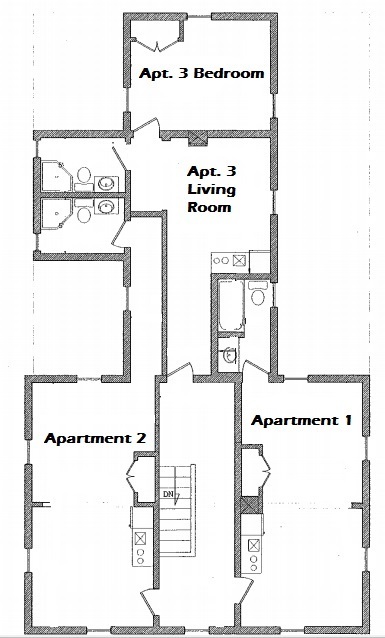 There are three rental apartments on the second floor.